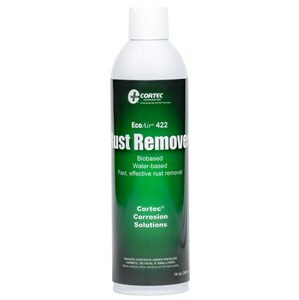 The Cortec EcoAir VpCI-422 is a water-based, non-toxic rust remover. It offers multimetal protection while removing rust from steel, iron, copper, brass and chrome. Removes rust and stains without polluting. Approved for use by the USDA. 14 oz.